Amazon astonishes us with the Kindle Fire, a new 7" Android-based tablet with a 1024 x 600 pixel IPS panel with Gorilla Glass protection. The device features a 1GHz dual-core TI OMAP4 processor, 512MB RAM, 4GB internal storage, and WiFi. Battery life is said to be around 8 hours and the device weighs 14.6 ounces (414g). The kicker is the $199 price tag, which puts the Kindle Fire into the "impulse buying" category. The device is a lot cheaper than Apple's iPad, but lacks a couple of features like 3G support, a camera and a microphone. Another drawback is that Amazon is using a modified Android 2.1 operating system, the tablet will not have access to Google's Android Market as Amazon wants to promote its own content delivery systems such as the Amazon App Store. 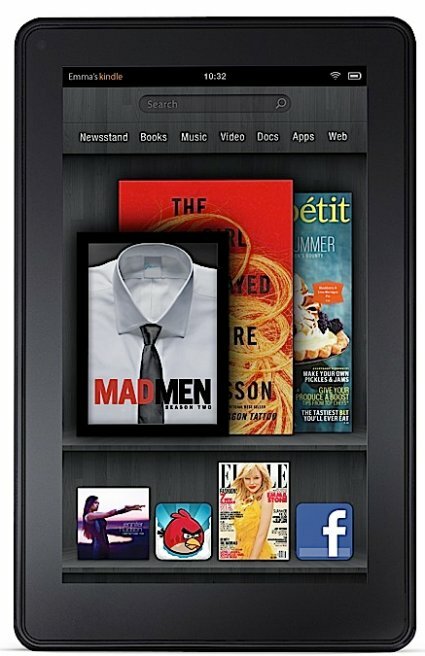 The Kindle Fire is available for pre-order on Amazon's website, devices are expected to ship on November 15th in the US. It's unknown when or if other countries will follow.